The Sentinel 2.0 Jacket features everything you need to stay dry in the worst conditions. A rip-stop nylon shell with sealed seams offers waterproof protection while the patented Aqua-Barrier™ under-the-helmet hood eliminates seepage in the collar area. In foggy conditions, 3M™ Scotchlite® reflective piping helps to keep you safe and be seen. The Sentinel 2.0 Jacket Options the whole thing you want to stick dry within the worst stipulations. A rip-prevent nylon shell with sealed seams gives Water-proof coverage even as the patented Aqua-Barrier™ beneath-the-helmet hood removes seepage within the collar space. In foggy stipulations, 3M™ Scotchlite® reflective piping assists in keeping you protected and be observed. The Sentinel 2.0 Jacket gives the most productive in Water-proof coverage. 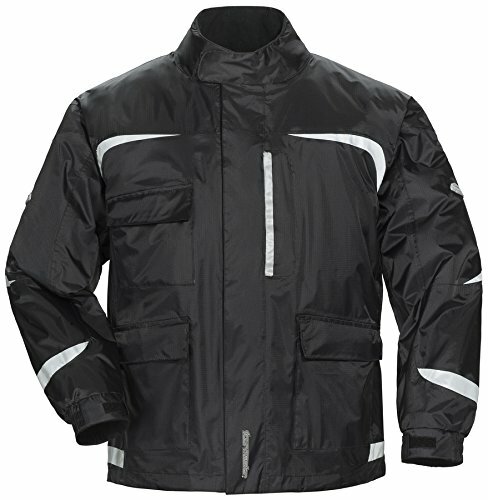 Water-proof and breathable rip-prevent nylon shell with sealed seams is rated MVM 5000 for max breathability.